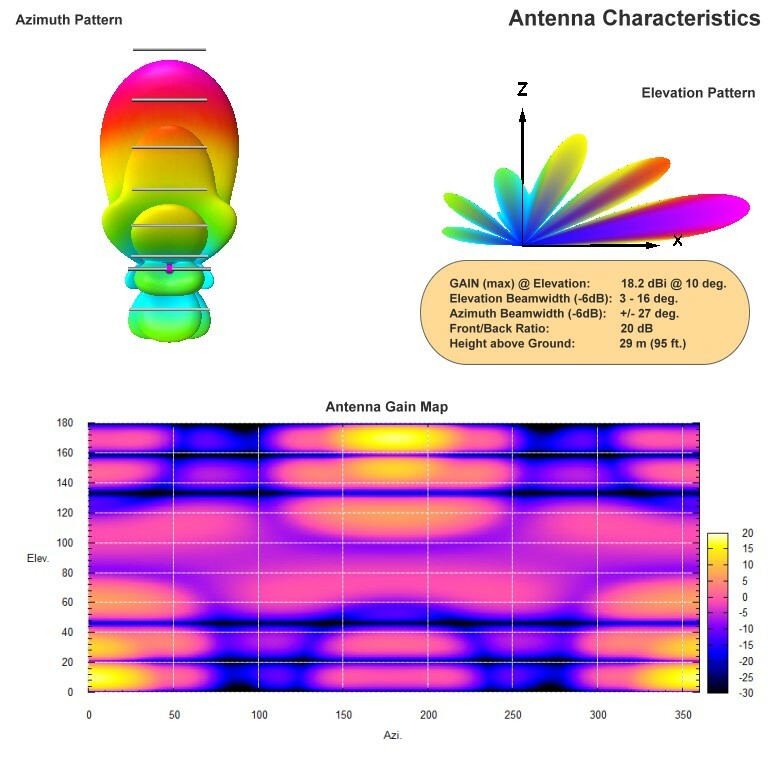 The 8 element mono-band Yagi antenna ANT007 on HamSphere 4.0 are the highest gain antennas amongst all non-stacked antennas. They have been designed and crafted for the DX hunters. The high gain along with good lobe pattern characteristics make the 8-el Yagi series outstanding performers for low angle and long range skip operation. These antennas have full size elements on a full size boom. On all DX bands on 20m and above, the gain is approximately 18 dBi. On lower bands too they have remarkable gain and directivity approximating 14-16 dBi. The 8-el Yagi series are deployed at a height of 95 ft (29m) above ground. 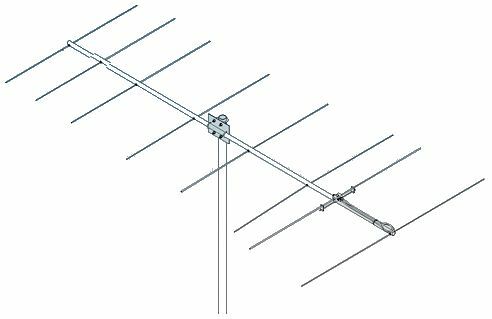 Like all other antennas designed for HamSphere 4.0, the 8-el Yagis feature low SWR across all bands, high radiation efficiency and excellent value for money.